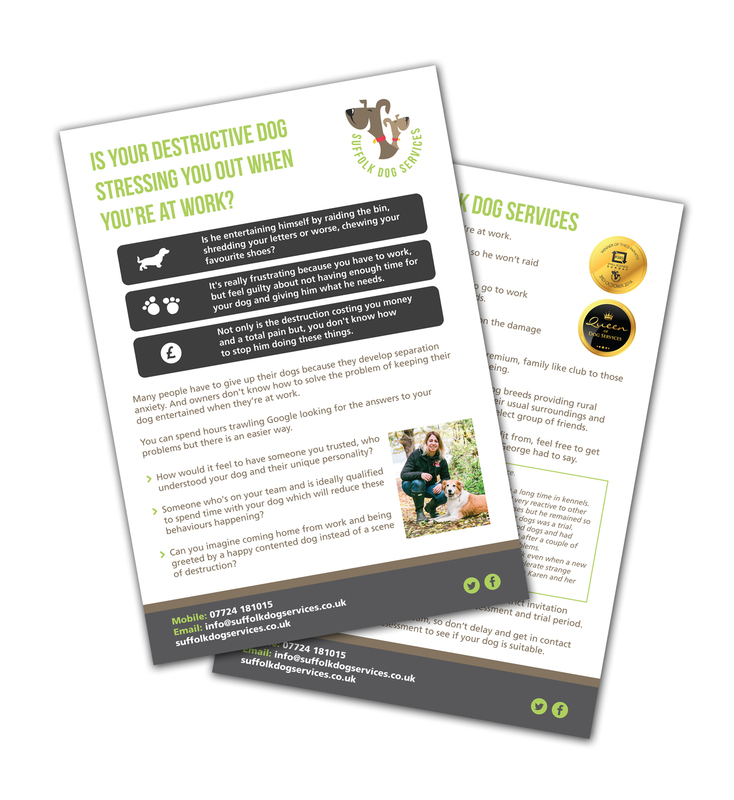 I was approached by Suffolk based #SBS winner Suffolk Dog Services to design and print new A5 leaflets to promote the business. Karen was wanting to promote various aspects of the business. After looking at Suffolk Dog Services website, I took elements from that and transfered it though into the design of the leaflet.